Aryaa has very sensitive skin and any kind of wetness would cause immediate reactions. A cloth nappy has lower absorbance and the parent has to be constantly vigilant and change the nappy instantly when dirty. With Aryaa even a 2 minute delay in changing the nappy after she pooped or peed would result in redness which made her uncomfortable and me unhappy. A disposable diaper has enhanced absorbance and keeps your baby dry for longer thanks to which the baby is as far more comfortable and happy. 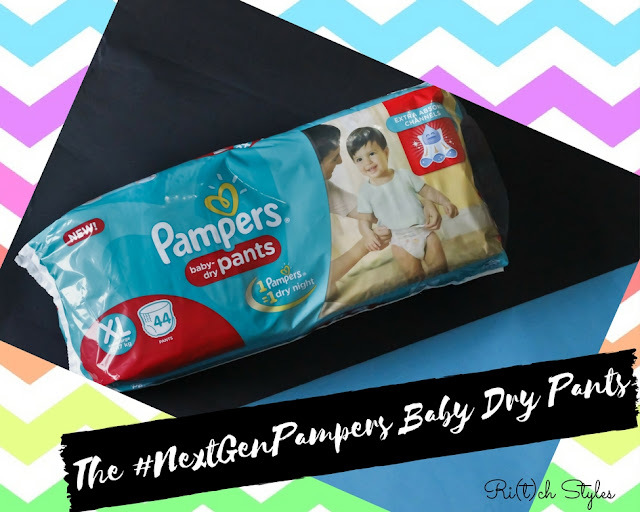 Aryaa is an absolute Pampers baby, and the new #NextGenPampers Baby Dry Pants come with the #Magicof3 extra absorb channels which absorb the pee 3 times faster as well as distribute it evenly which keeps the diaper drier for much longer. 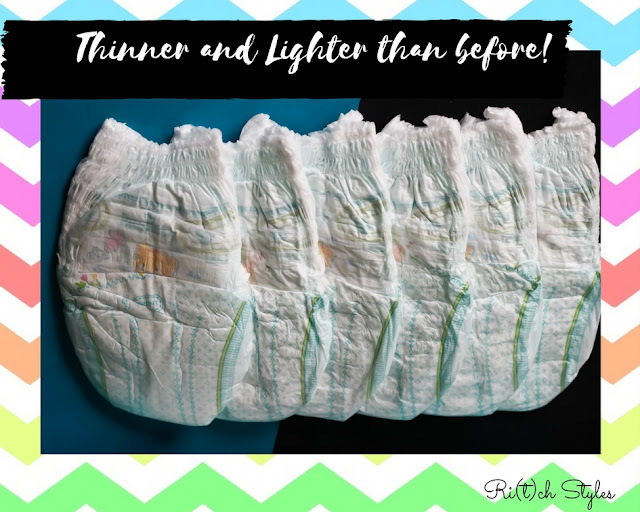 Disposable diapers are definitely better if you are looking at preventing rashes as it keeps the baby dry for longer since the liquid gets converted to gel. 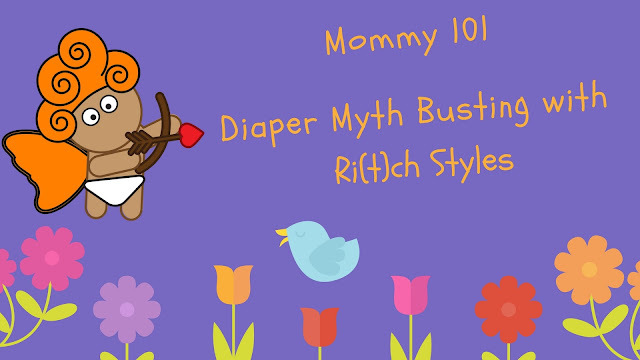 If u do not change a wet cloth nappy or full diaper in time, it will definitely cause a diaper rash. So do not wait for the diaper to get totally full till it leaks. Keep checking and change if it is soiled or filling up, and even if not full, change it in max 4 hours. This is what I do for Aryaa and this helps to maintain hygiene as well as take care of her skin and avoid rashes. I have always used Pampers for Aryaa as these were the only diapers that never gave her rashes as they are perfect for sensitive skin. The new Pampers Baby Dry Pants other than the extra absorb channels also come with baby lotion within the diaper thus keeping your child's skin moisturized and rash free. As I use Pampers I will speak from that respect. 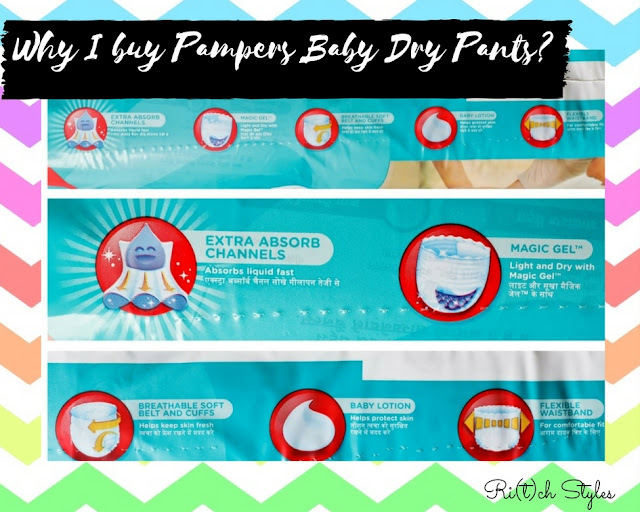 The new Pampers Baby Dry pants are made of soft, breathable materials especially the outer cover which is made of a breathable film topped with soft cloth-like fibres so that the wetness does not transfer anywhere. The new Pampers Baby Dry is the thinnest diaper I have used till date. 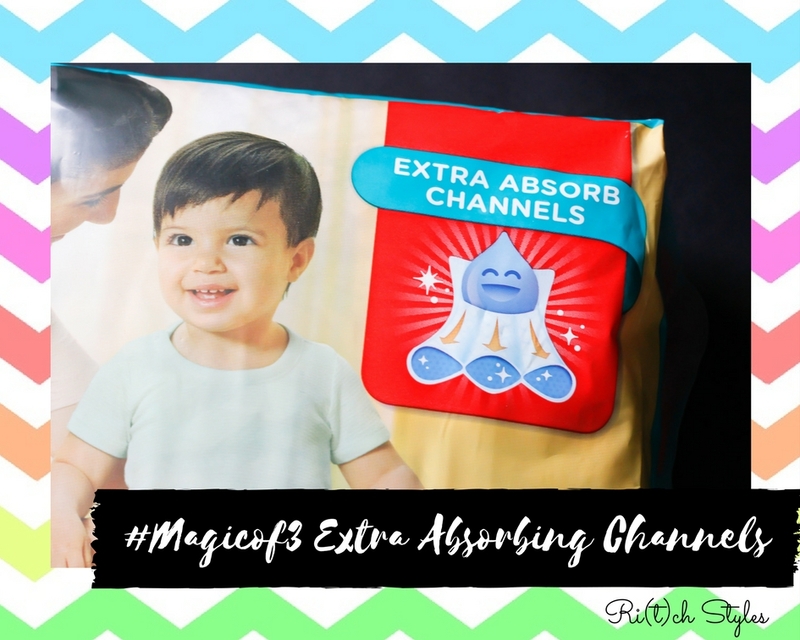 The new Magic Gel used in the absorption layer makes the diaper much thinner and lighter than the earlier variants along with making it more effective. To be honest, the absorption layer feels and looks like a really soft and light piece of cloth and one just can't believe that it is full of the Magic Gel and can hold so much pee. When used in Pampers nappies, the super-absorbent non-toxic Magic gel is dry and granular, but forms a gel when it absorbs the baby's pee. Always have diaper free hours for your baby. I have always done that. Just for a few hours a day follow this practice. Even if a diaper change happens when your child has just been peeing, clean them up with warm water or a baby wipe before you make them wear their next diaper. Always make your child wear the right diaper size. If they move into the weight range of the next size, make them start wearing the next size. Please use a diaper rash cream as soon as you start noticing any sort of redness, rather than waiting for the redness to become a full blown rash. 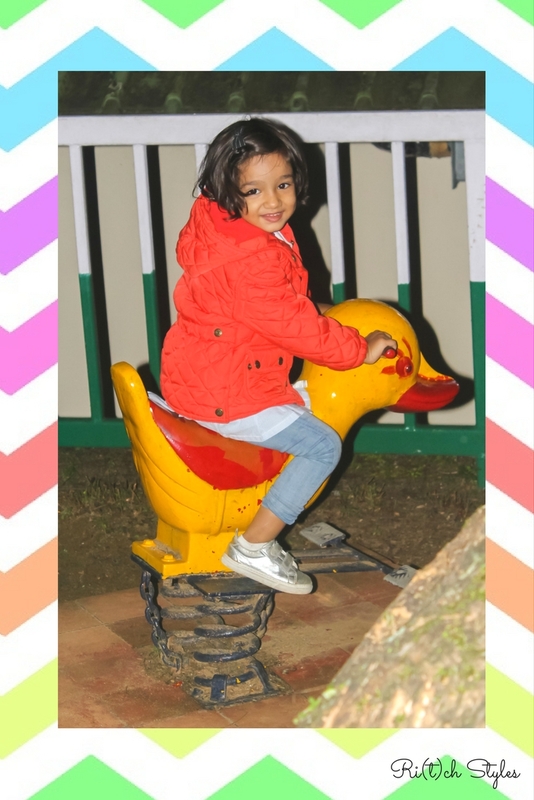 Aryaa is a happy and non cranky baby and Pampers plays a huge role in that! Natural Intimate Care for MOMS!